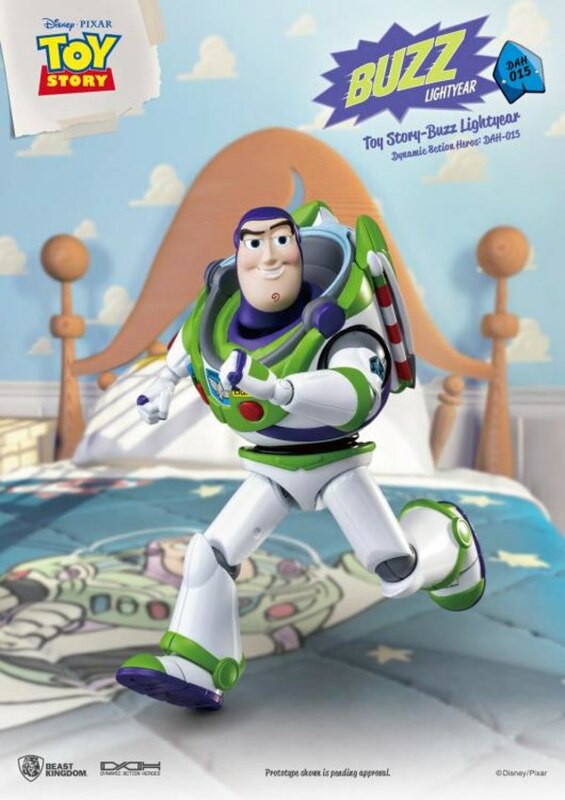 A fan favorite for over 20 years, Buzz still looks as dashing and committed to protecting his friends as ever. 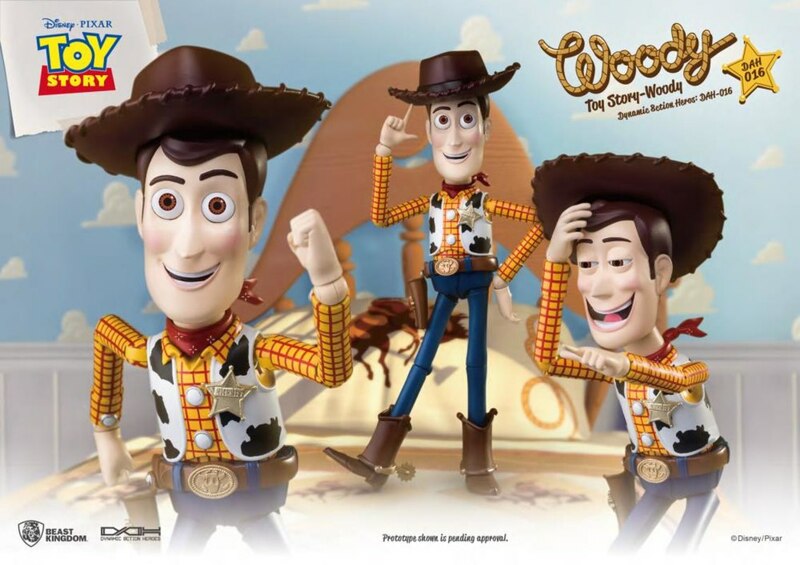 Beast Kingdom warmly presents the first in the range of highly realistic Disney characters, continuing the Dynamic 8ction Heroes line of highly detailed figures. 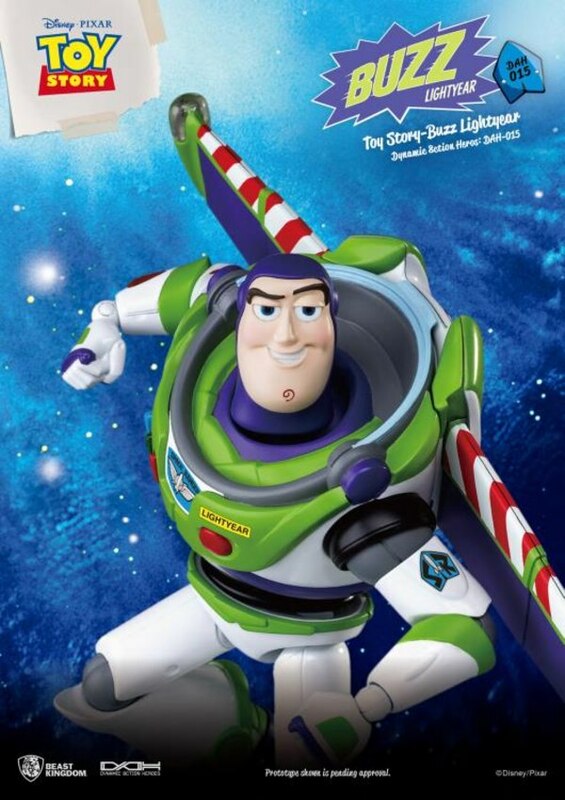 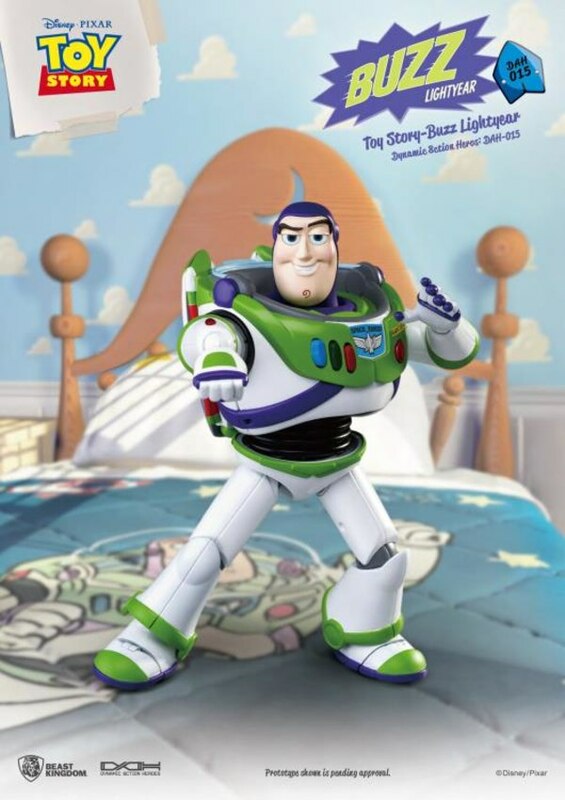 The DAH-015: Toy Story Buzz Lightyear action figure is a fully articulable Toy Story re-creation of the honorable and steadfast character. 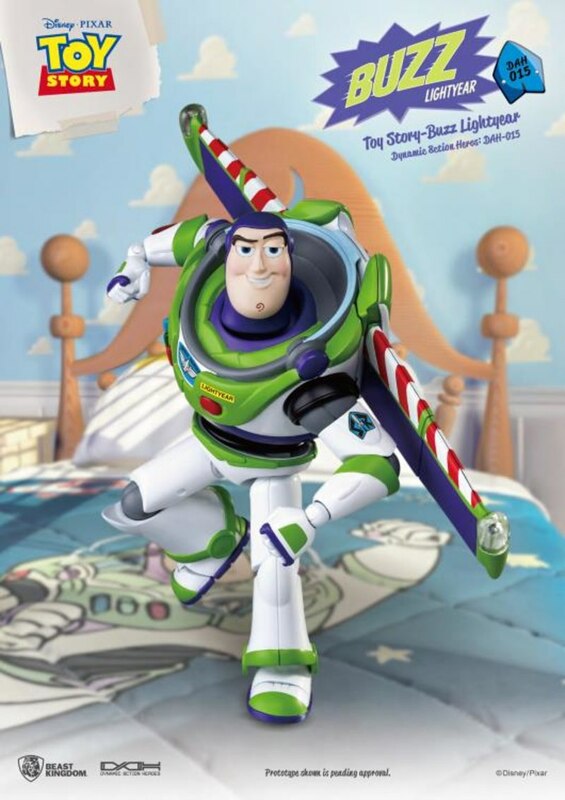 Take flight with a set of detachable wings and replicable flying gesture hands, giving Buzz the confidence, he needs to successfully complete his mission. 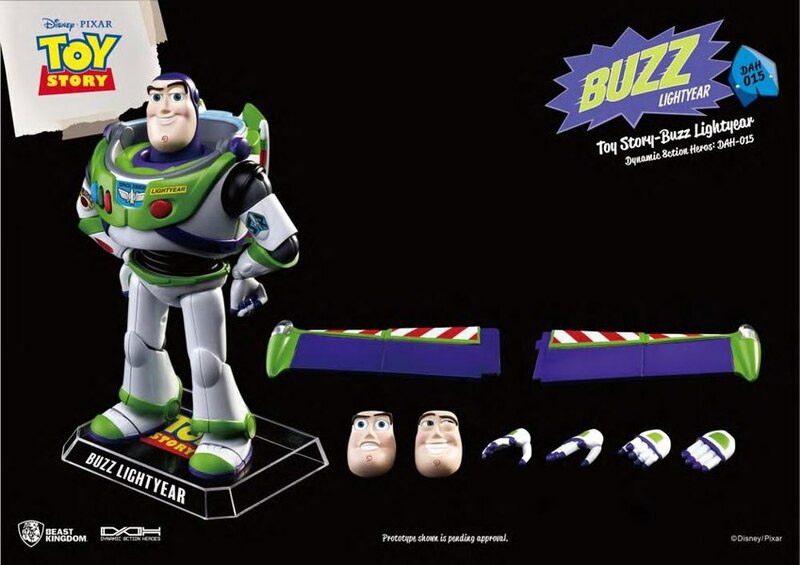 Need to defeat the evil arch nemesis and on/off father Zorg? Fear not Space Cadets, the replaceable fists allow Buzz to get deep into the action, and with three replaceable faces, you can enjoy all of his moods from happy to super serious! 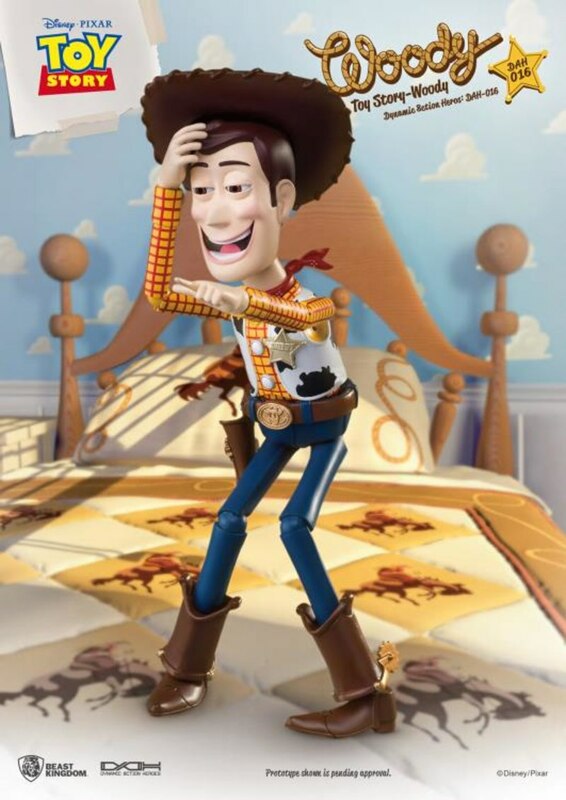 At 7 inches tall and 20 points of articulation, the DAH-015 is the perfect size for serious collectors looking recreate, with accuracy, some of Toy Story's amazing moments. 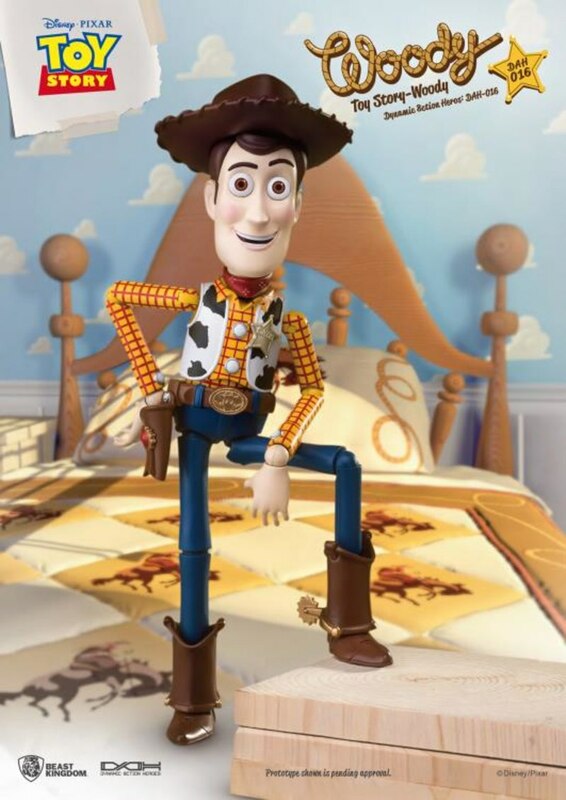 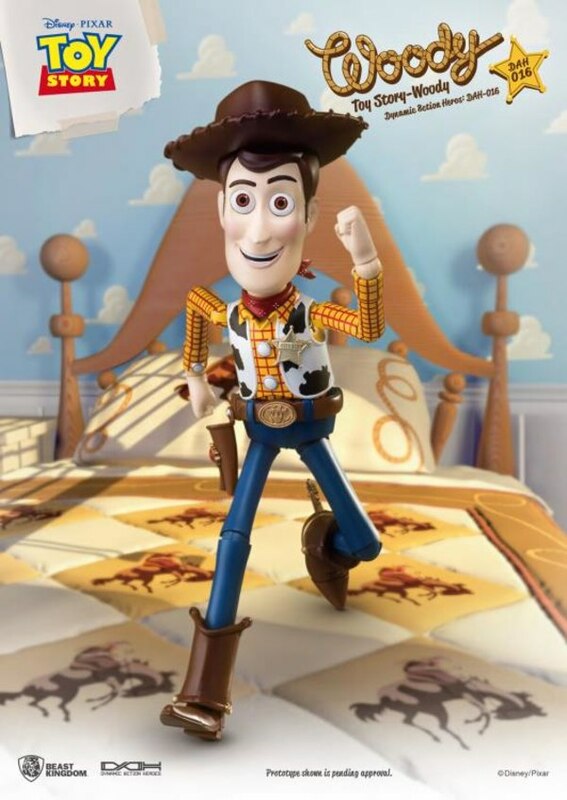 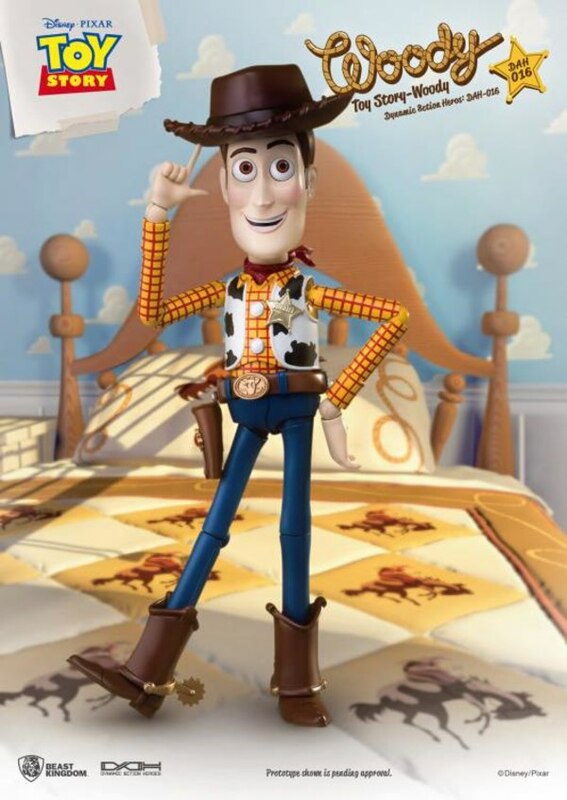 The second figure, DAH-016: Toy Story Woody action figure is a fully articulable Toy Story re-creation of the warm-hearted cowboy! As Andy's favorite toy, Woody bears his owners signature on the base of his articulable foot, making this 8inch action figure a real keepsake! 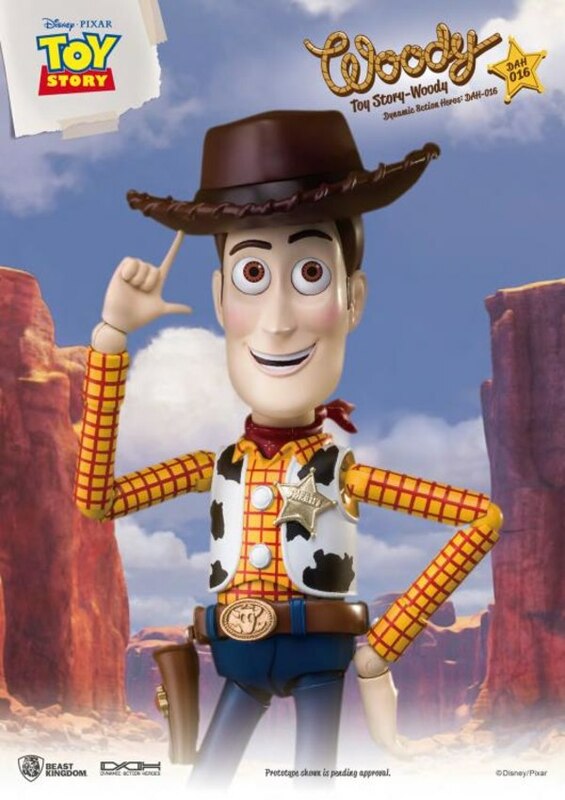 With 20 points of articulation and a replaceable Cowboy hat as well as pointy gunshot hands, he is able to quickly tell his foes to reach for the sky! 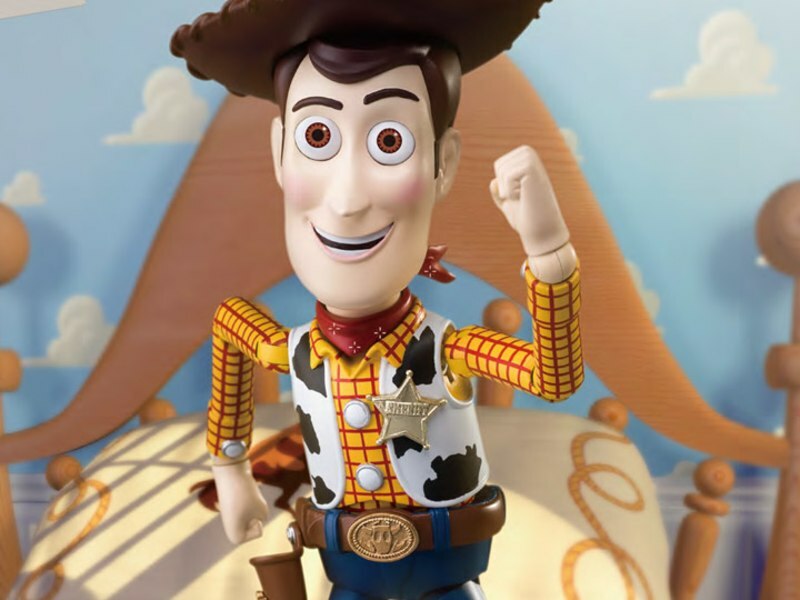 Woody's three replaceable faces, including one special version bearing a surprisingly cheeky grin, means collectors can have him ready for any fun day out with the Toy Story gang, including his best friend and ally Buzz! 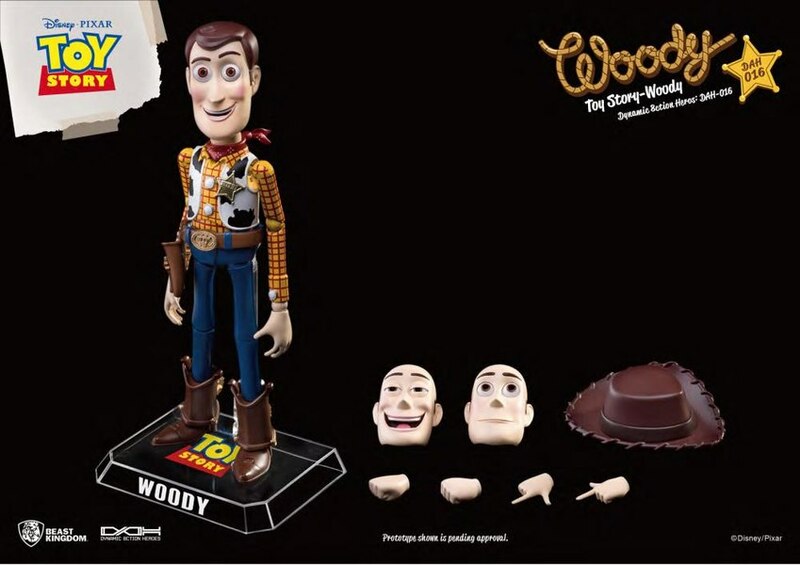 Both figures are available for pre-order at BigBadToyStore.com. 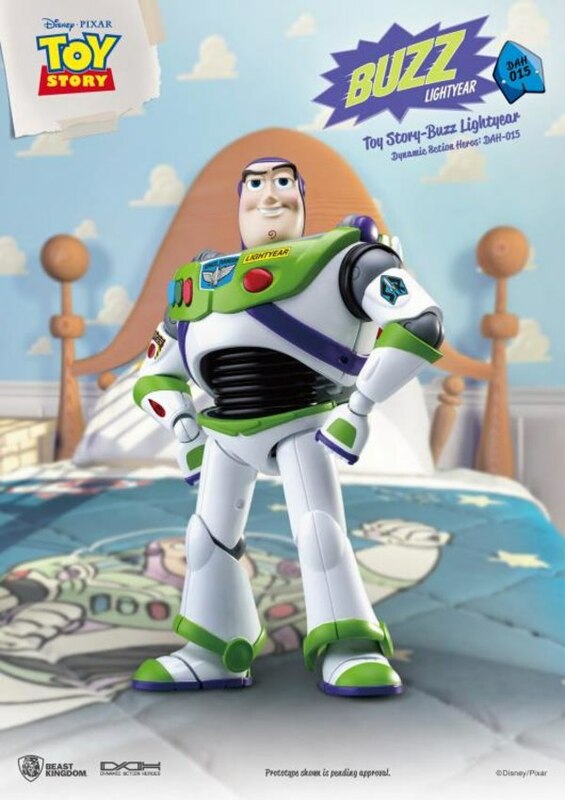 I'm really interested in the Buzz figure, but those low eyelids make him seem sleepy. 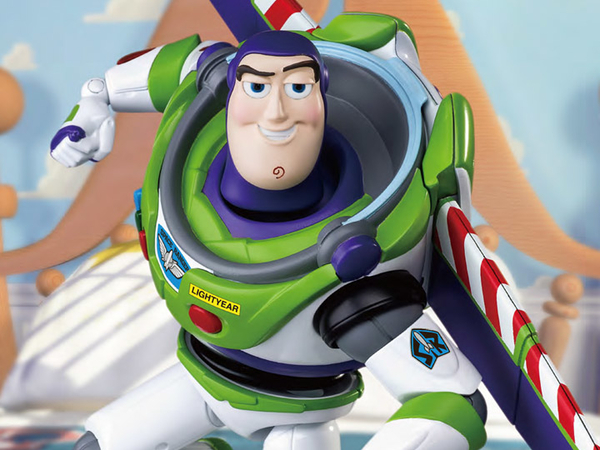 Buzz does open his eyes all the way sometimes, so I wish they would have included a different face sculpt to reflect that. 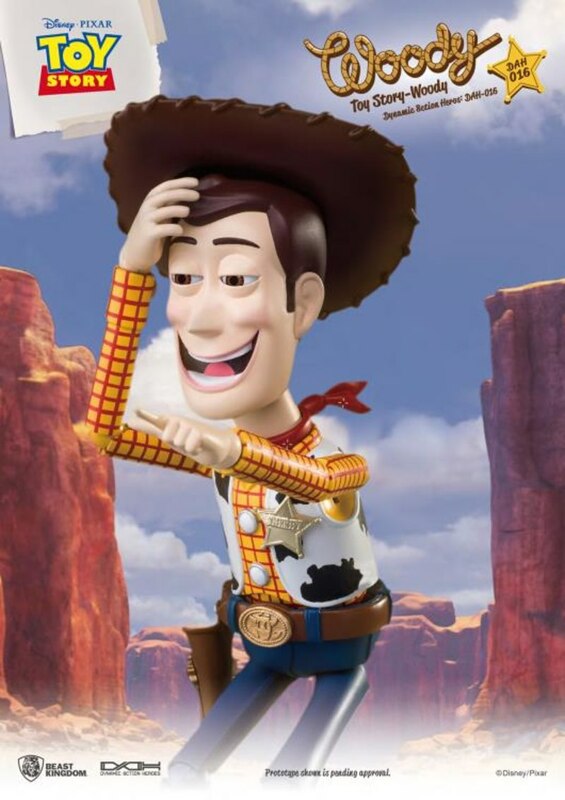 I still might pick him up, he looks really accurate to the movies otherwise. Man those look great. 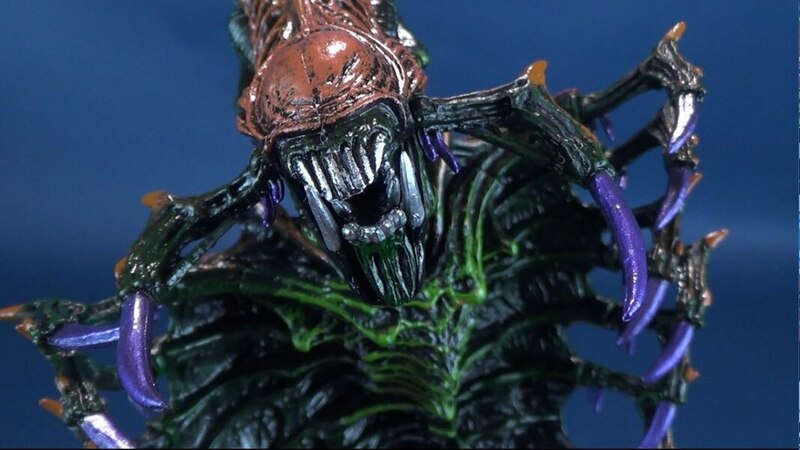 The articulation seems solid and they look just like they jumped out of the frame.